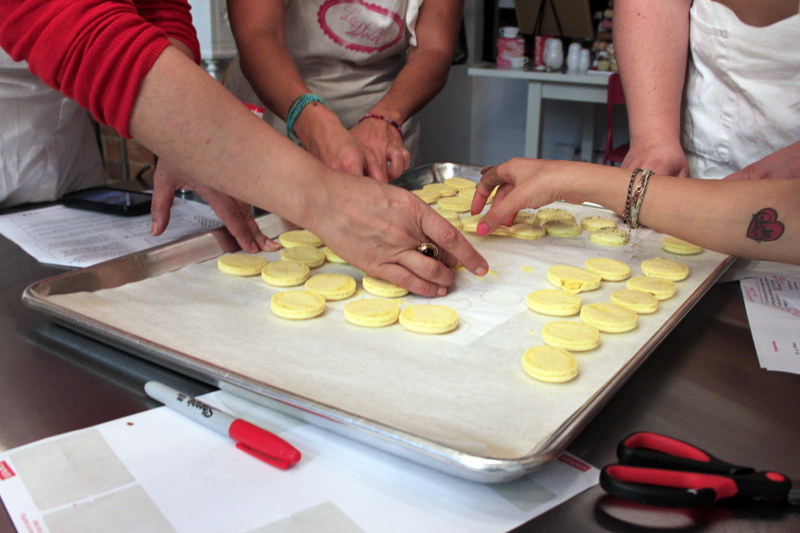 Humble Pie: Humble Pie Takes a Macaron Class! 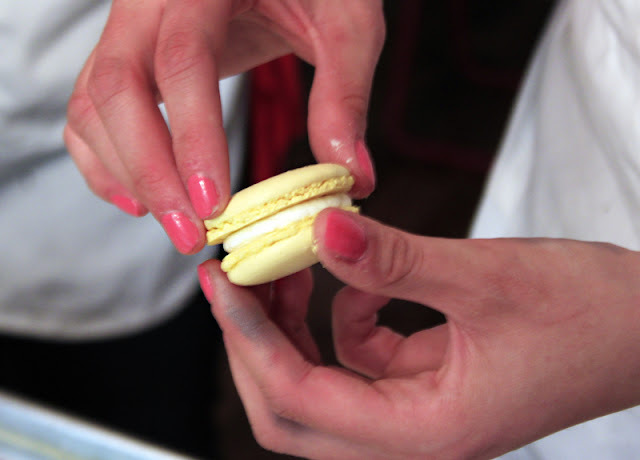 Humble Pie Takes a Macaron Class! 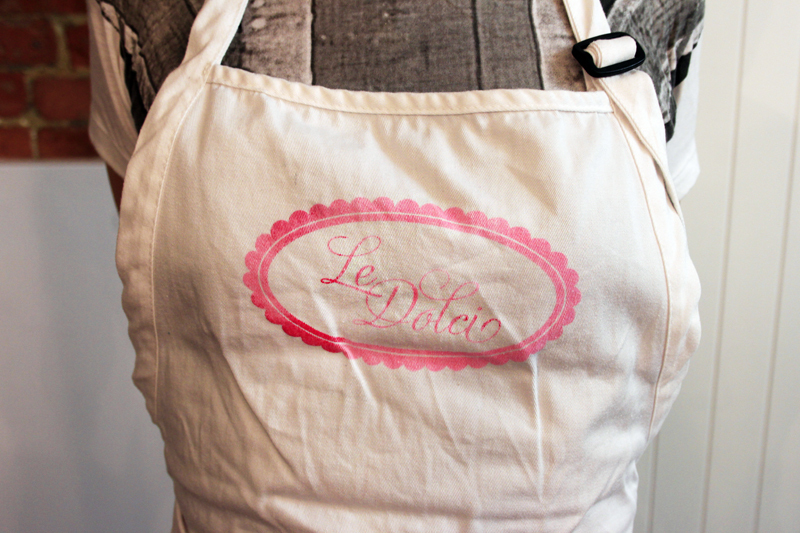 I recently took a class at La Dolci to learn the art of french macarons. Other than their quaint demeanour I never understood the fuss over these things until my fellow classmates and I were faced with the the task of actually making them - the recipe requires a consistent and finicky technique that can go horribly wrong. Luckily for us and our patient teacher, we successfully created those firm domes with chewy fillings that North America has been drooling over for the past three years. 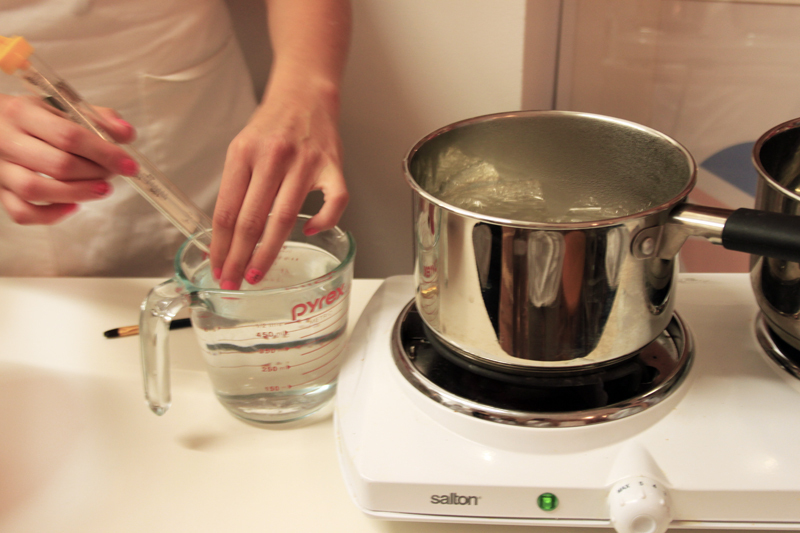 Place sugar in a pot and add the water to the centre of the pot. Bring to a boil over medium heat until it reaches 115 degrees Celsius on a candy thermometer. 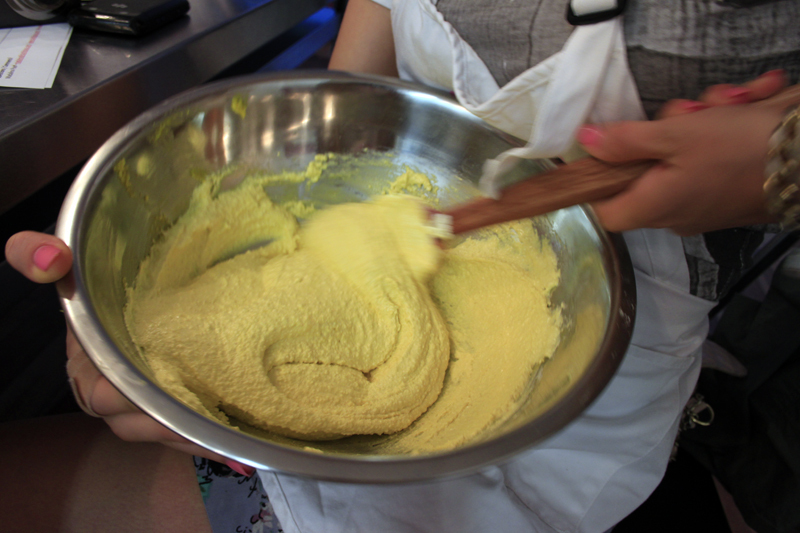 Don't stir the mixture, only swirl the pot to dissolve the granules. 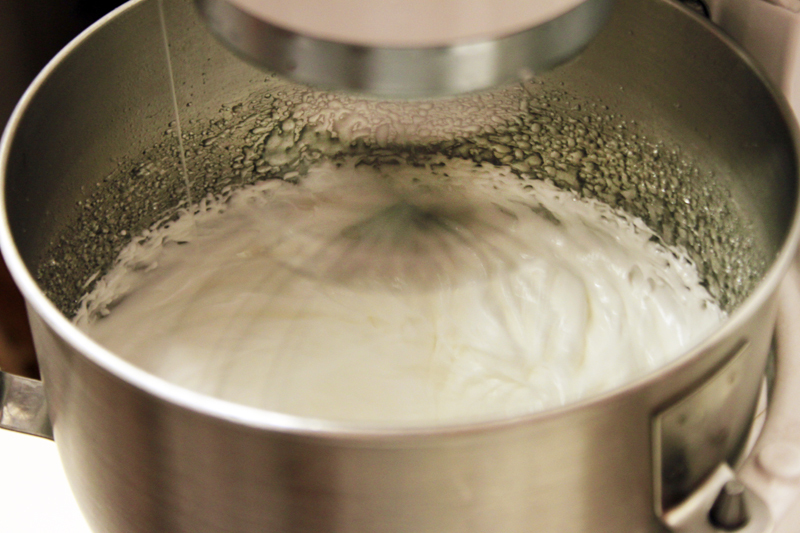 Right before you remove from the heat begin beating the egg whites at medium speed with an automatic mixer. 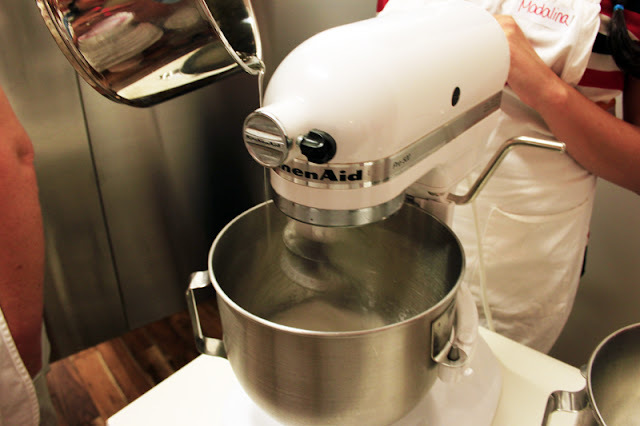 When you are ready to add the sugar mixture increase the speed to high and add at a very thin, steady stream. Once all of your sugar mixture is added (and food colouring to your desire), continue beating until the entire mixture has cooled. You can tell by touching the bottom of your mixing bowl. If its cool enough to touch for a minute, then it is done. Your meringue should form stiff and shiny peaks like this. Now you can make the macronage. 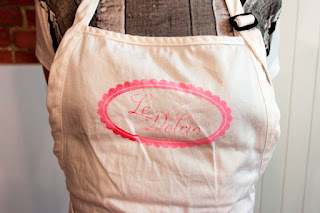 Pulse the almond powder and icing sugar together in a food processor to thoroughly combine. Ideally, you should pass the mixture through a sieve twice to eliminate all clumps. Just before the meringue is ready mix the almond flour mixture with the remaining egg whites. 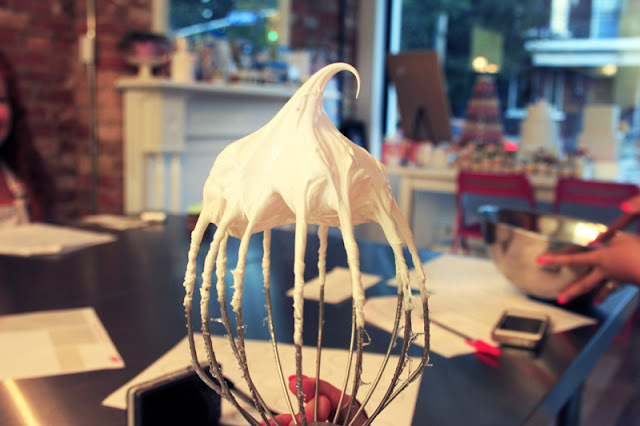 Before combining the whole bowl of meringue, thoroughly mix just what remains on the end of your mixture, like pictured above. 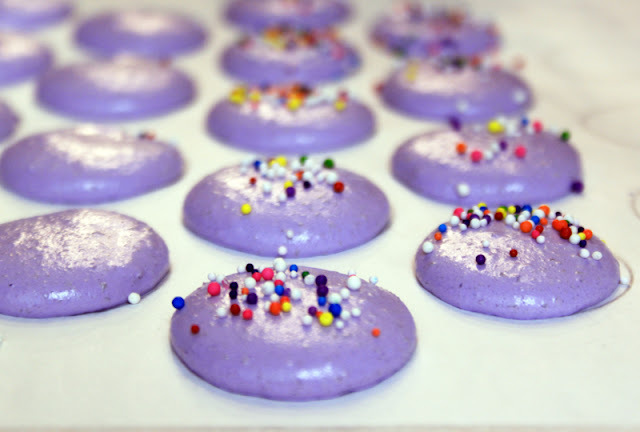 This will prevent your meringue from shocking your almond flour mixture. 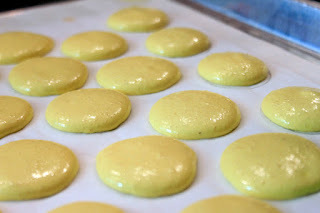 Thoroughly fold the rest of the meringue into the almond mixture until the viscosity is similar to lava or molasses, similar to the above photo. 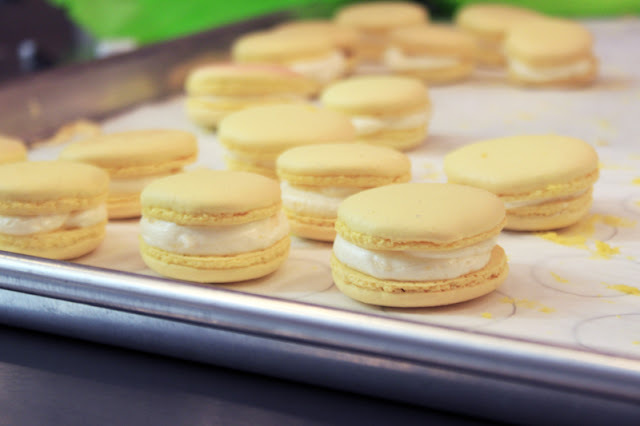 Add to a piping bag and shape your macarons on a parchment-lined pan. 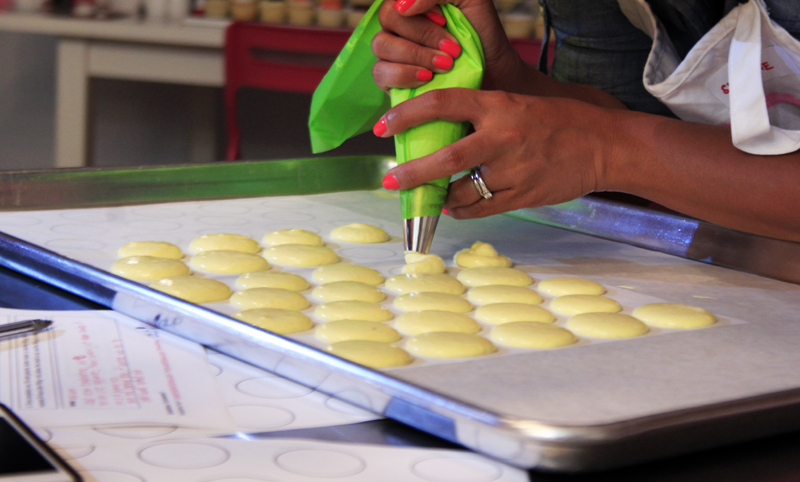 To get the perfect, round shape press the tip of the nozzle down and push out the batter until you reach your desired size. 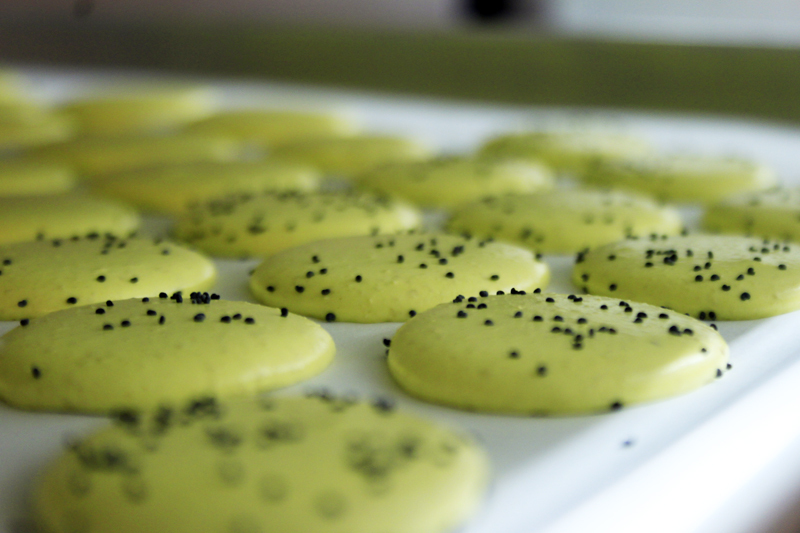 Let the macarons sit for a few minutes before placing in a pre-heated oven at 275 degrees ferenheit for 10 minutes. 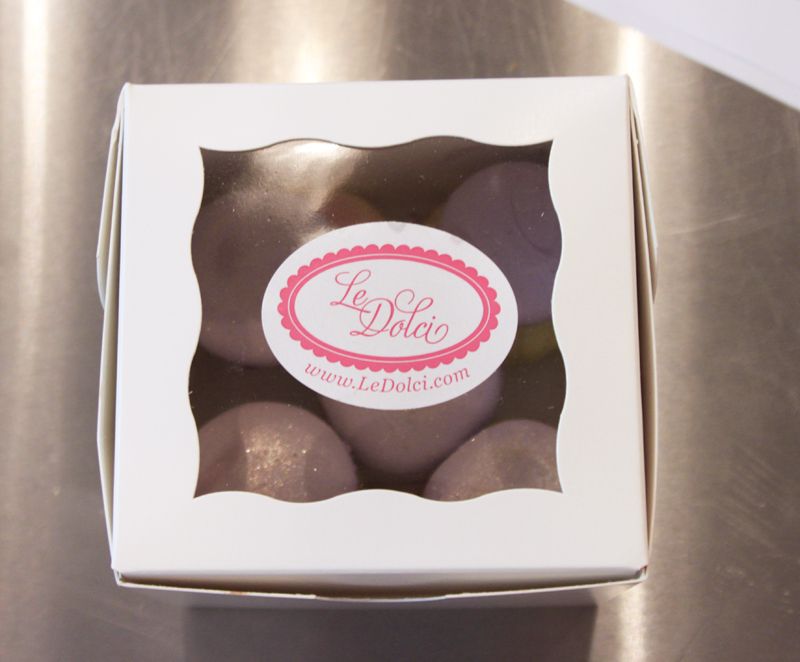 Once completely cooled, fill with buttercream or ganache, for example. 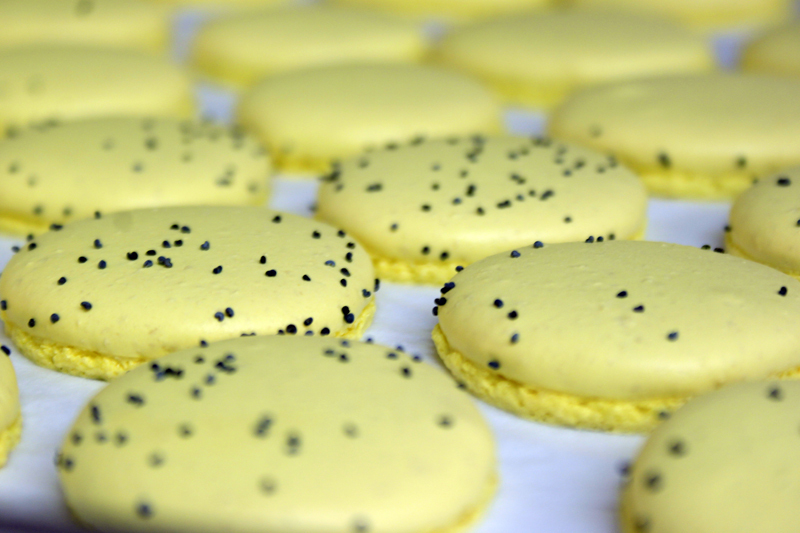 Macarons taste best after 24 hours prior to filling.